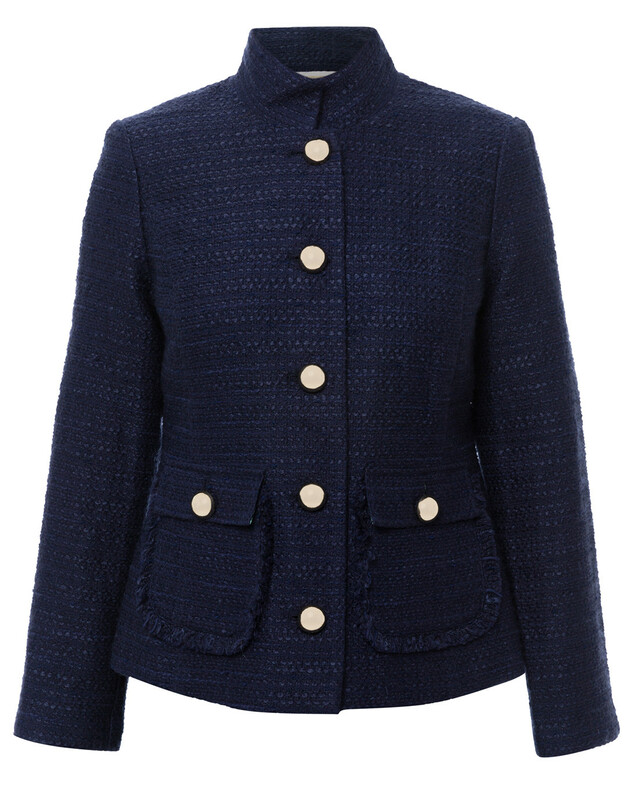 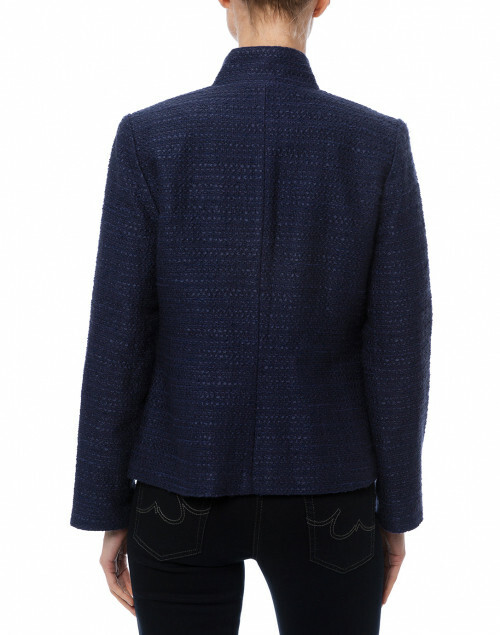 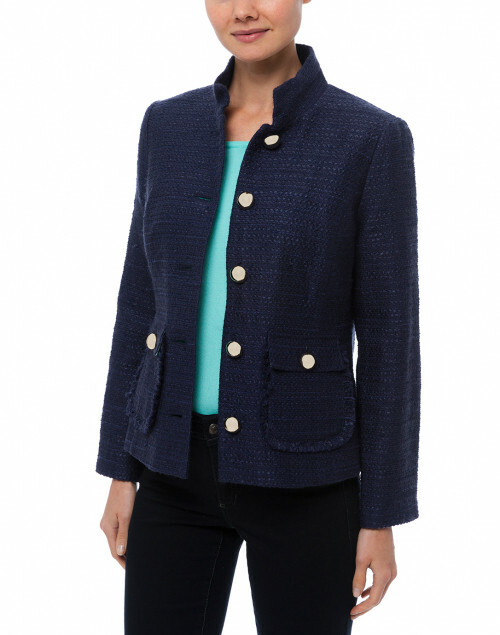 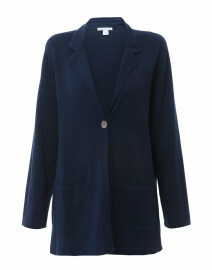 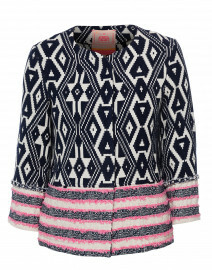 Crafted to a stylish, boxy silhouette, Sail to Sable's tweed jacket is ideal for wearing on transitional days. 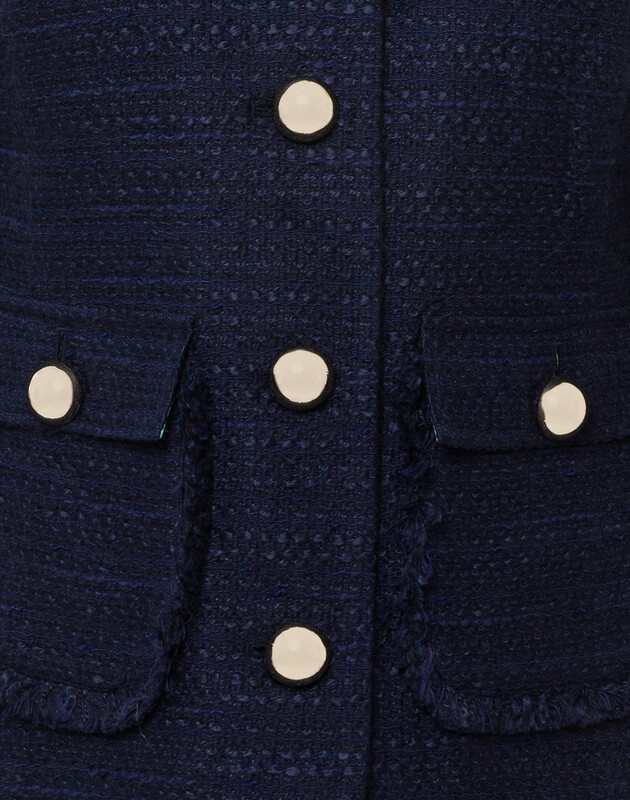 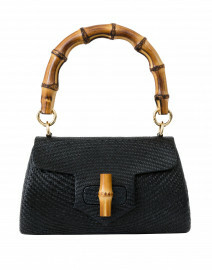 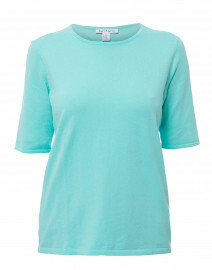 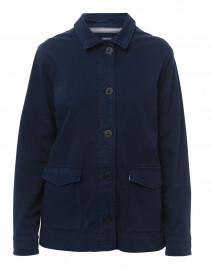 It is shaped with a stand-up collar, long sleeves and glistening gold-tone buttons. 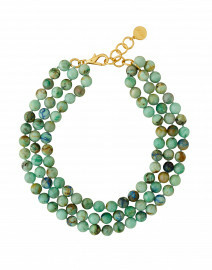 Slip it over a knit sweater, slim fit trousers, and pointed-toe heels for a refined feel. 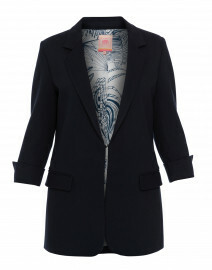 Waist 30" 33" 35" 37" 39"
Hip 34" 37" 40" 43" 46"
Sleeve Length 23" 23" 23" 23" 23"